What Kind of RESP Should I Choose? Not all Registered Education Savings Plans (RESPs) are the same! Some allow more control over the investment choices, timing of payments and –where there is more than one child – the allocation of funds. 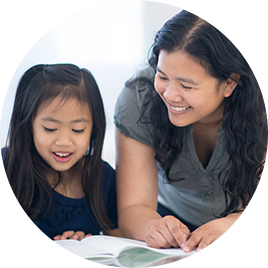 Talk to a financial planner to understand the most effective way to save for a child’s education. Investment Choices Why this rating? Access to Funds Why this rating? Group RESPs (also known as scholarship trust RESPs or pooled RESPs) are accounts where the earnings of all plan participants are pooled together. The plan provider makes all the investment decisions for the members of the plan. Self-directed RESPs are offered by most banks and mutual fund companies. They can be used for individual or multiple beneficiaries. With a Group RESP, the plan provider makes all the investment decisions for members of the plan and sets contribution schedules and withdrawal windows. Self-directed RESPs allow you to choose which investments to hold, how often to contribute and when to withdraw funds from the account, giving you ultimate control over the money you’re investing. Group RESPs can typically only invest in fixed income investments such as GICs, T-bills, bonds and mortgages. Self-directed plans offer more investment choices—ranging from conservative investments such as GICs and bonds to mutual funds, exchange-traded funds and individual equities. Group RESPs have strict contribution schedules. For example, if you commit to contributing $100 per month, you must generally keep paying $100 per month or risk losing the refund of your enrolment fee. There is also no flexibility when it comes to your investment choices or withdrawals. Self-directed RESPs, on the other hand, have no contribution commitments—you control how much and how often you contribute. You also have flexibility when it comes to how you use the funds in your RESP, as they can be used for individual or multiple beneficiaries, such as siblings or grandchildren. And if the beneficiary chooses not to pursue post-secondary education, you have a number of options available to you. Group RESPs charge various fees that vary depending on the plan provider. Often, the largest and least understood of these is the enrolment fee. With most group plans, 100% of the contributions go to the enrolment fee until half the fee is paid. This means that none of the money you contribute goes towards your actual principal until this halfway milestone is reached. You might also see additional charges such as a depository fee ($10-$12 per year), an administration fee (0.5% of all savings), and a management fee (0.65% - 1.96% on total assets). Self-directed RESPs may also have fees depending on where you open the account (but there is no cost to open an RESP at an RBC Royal Bank branch and no annual administration fees). The only costs are the management fees and expenses on any funds you own. Group RESPs have firm rules on the timing and the amount of funds that the beneficiary can access. So, if your child takes a year to travel first, drops out before graduating or even switches to part-time study, it could affect the amount of money he or she can withdraw. Funds in a self-directed RESP can be used for full or part-time study and can be withdrawn at any time. Your guide to saving for a child’s post-secondary education.